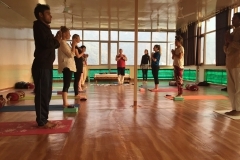 Based in Tapovan, Jeevmoksha Institute of Yoga Studies (Traditional yoga teacher training school in Rishikesh) is located at a natural and cozy ambiance in the foothills of Himalayas at very affordable price . 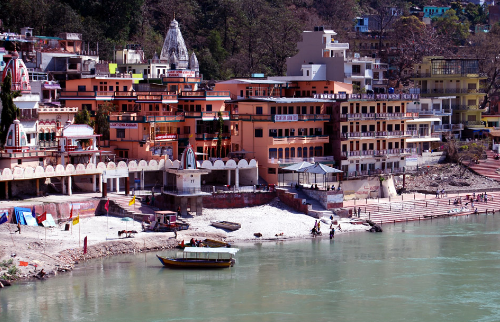 The ravine, and the lap of might Himalayan mountains makes this place a perfect abode for spiritual seekers to spend time contemplating and studying the discipline. It bears the advantage of being close to the town yet away from the chaos and noises of the city traffic. It is open round the year for students to come and stay even without being on any specific course routine. Attendants will take care of every need of yours and will do their best efforts to make you feel really “at home“. 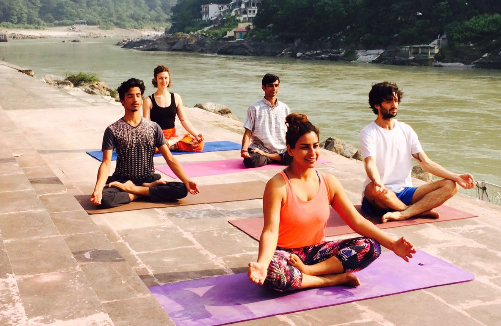 With this warmness they have won the hearts of all the people coming for an experience to Jeevmoksha and have made their journey fruitful in all the terms.